Math in Common® (MiC) is a five-year initiative that supports a formal network of 10 California school districts as they implement the Common Core State Standards in Mathematics (CCSS-M) across grades K–8. 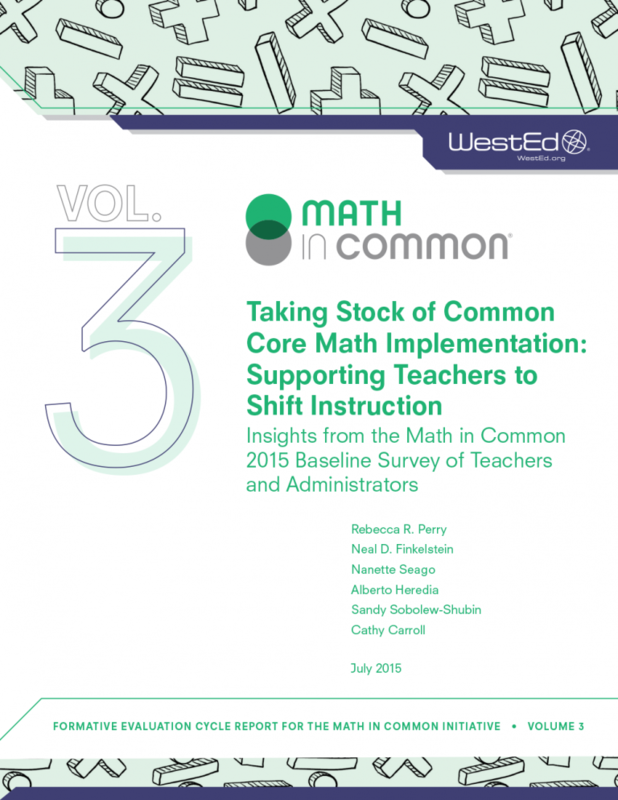 In spring 2015, WestEd administered surveys to understand teacher and administrator perspectives on Common Core State Standards–Mathematics (CCSS-M) implementation. Researchers surveyed teachers and administrators in eight California school districts participating in the Math in Common (MiC) initiative. 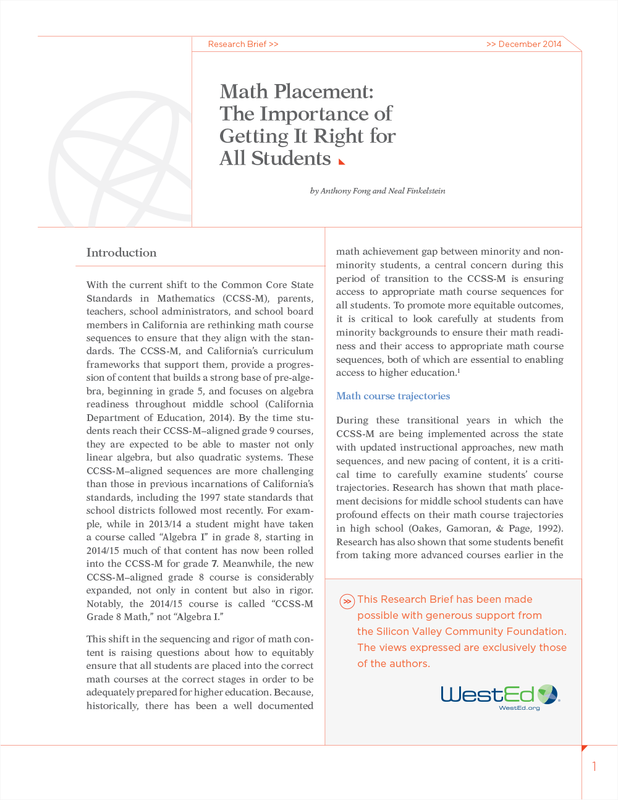 From this survey effort, WestEd researchers were able to learn from over 1,000 respondents about some of the initial successes and challenges facing California educators attempting to put in place and support new — and what some consider revolutionary — ideas in United States mathematics education. 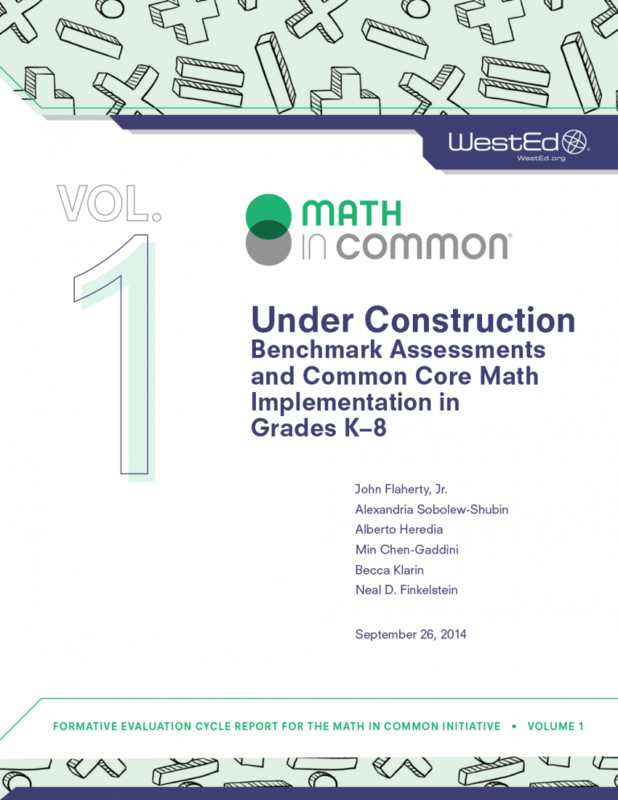 Download previous MiC reports, Under Construction: Benchmark Assessments and Common Core Math Implementation in Grades K–8 and Classroom Observations: Documenting Shifts in Instruction for Districtwide Improvement. Math in Common™ supports a formal network of California school districts as they implement the Common Core standards in mathematics. 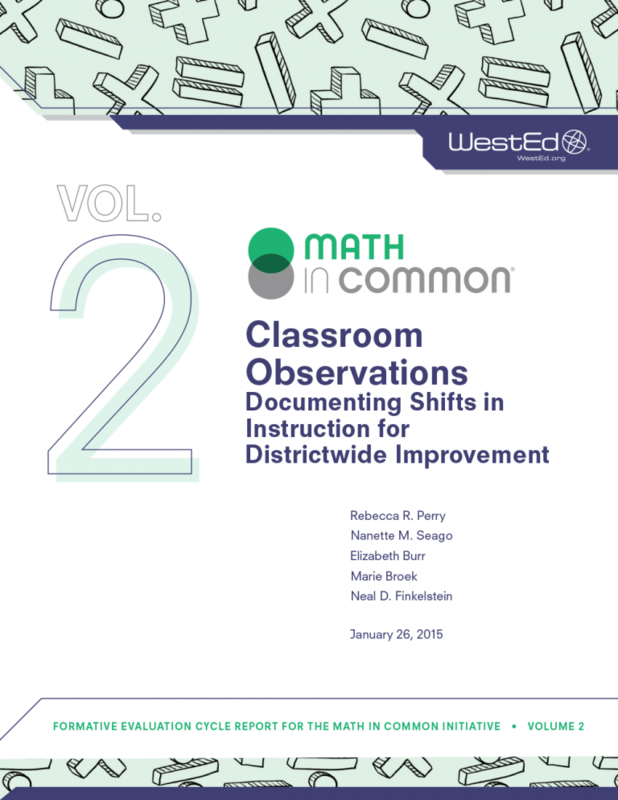 This report examines these districts' strategies and implementation efforts. High-achieving 7th-grade minority students in California are less likely to reach calculus by the 12th grade compared to their non-minority peers.